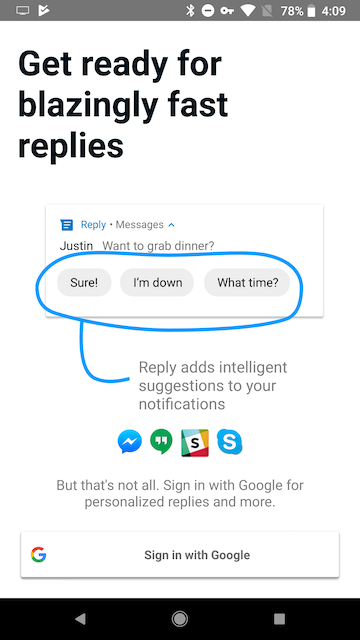 Google Reply is an app that is coming to Android soon. 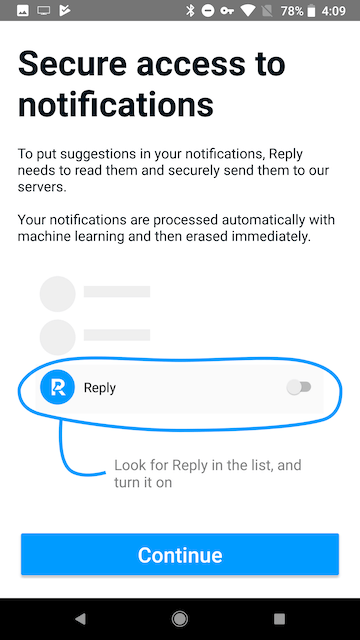 The app is designed to bring smart replies to notifications from chat apps on your Android device. 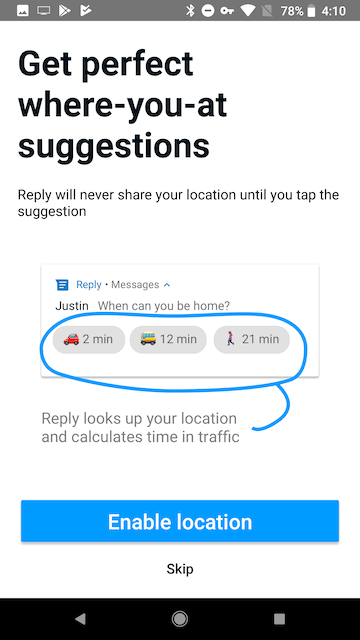 The app is in closed beta so isn't available from the Play Store yet but the guys over at Android Police have provided a link to download the app so we can test it. So of course - as it is Google - it wants access to pretty much everything. So this is only going to appeal to people who are willing to share this information. 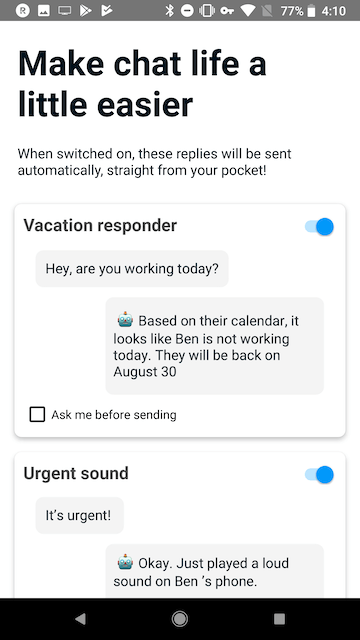 You can also setup a vacation responder, urgent sound notification and a feature to detect the seriousness of message. 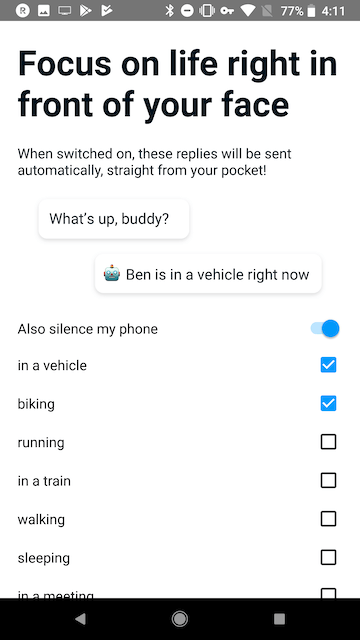 Auto responses when you have your phone silenced can be setup to say that you are: In a vehicle; biking; running; on a train; walking; sleeping; in a meeting. 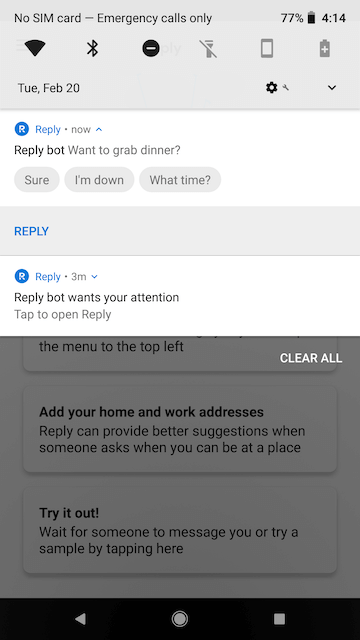 Once installed you will see bubbles in your notification shade which allow you to quickly reply to a message from any message app.